Stuff By Belle: Word Bubbles! 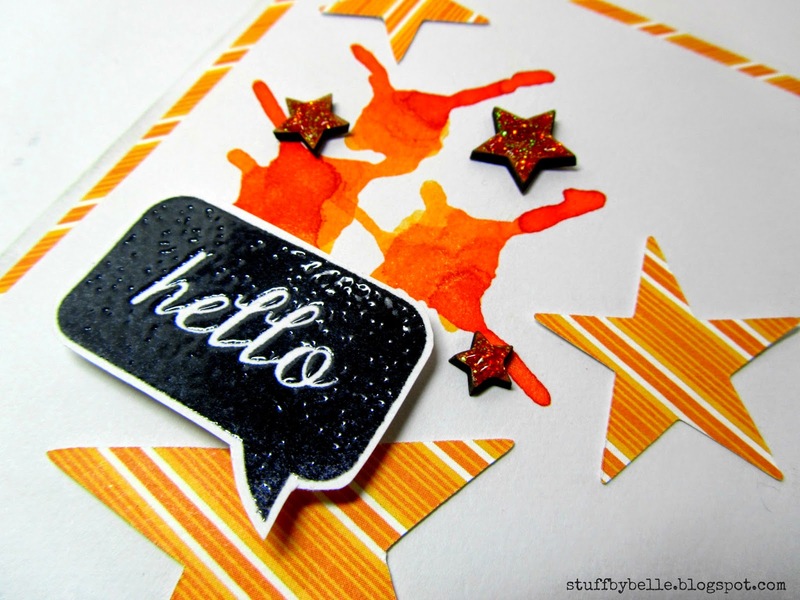 Over at Cuttin' and Stampin' this week word bubbles are what it's all about . 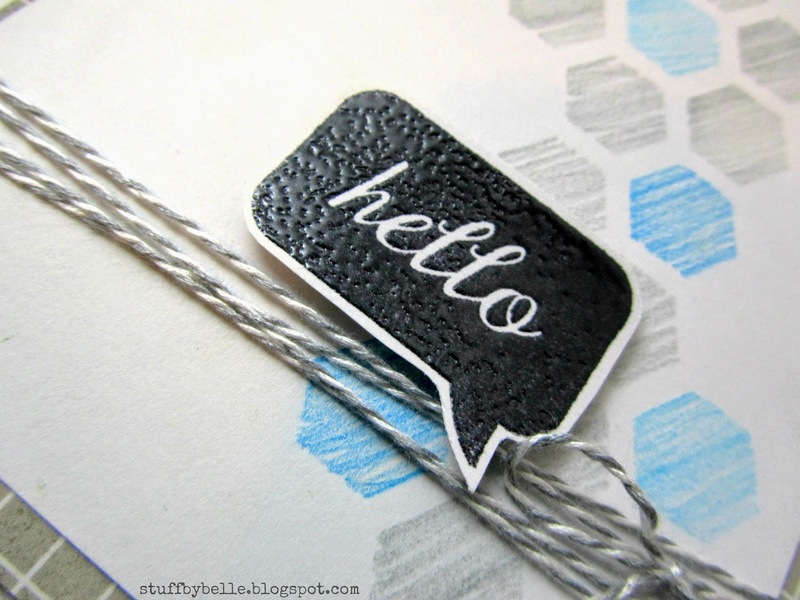 We are using Basic Gray Capture collection and Jillibean Soup Word Bubble stamp set both of which you can find at the Cuttin' and Stampin' facebook store. All three use white Bazzill Basic cardstock and word bubbles stamped in archival ink and heat embossed with high-gloss embossing powder from Viva Las Vegastamps. This card has a layer of the Basic Gray Capture which brings out the bright colors in all of the Color Shine mist used to splatter. Finished off with some various sequins. 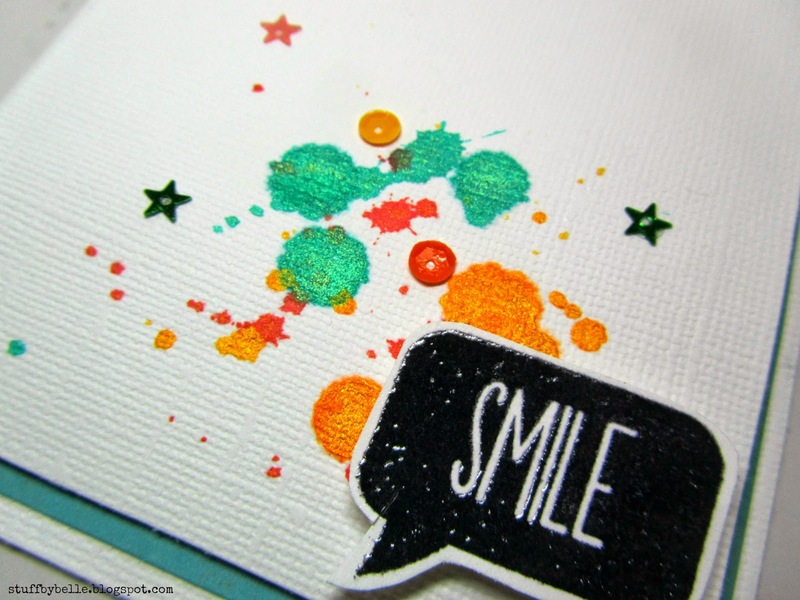 Sequins and shimmery splatters sure do make me smile!! 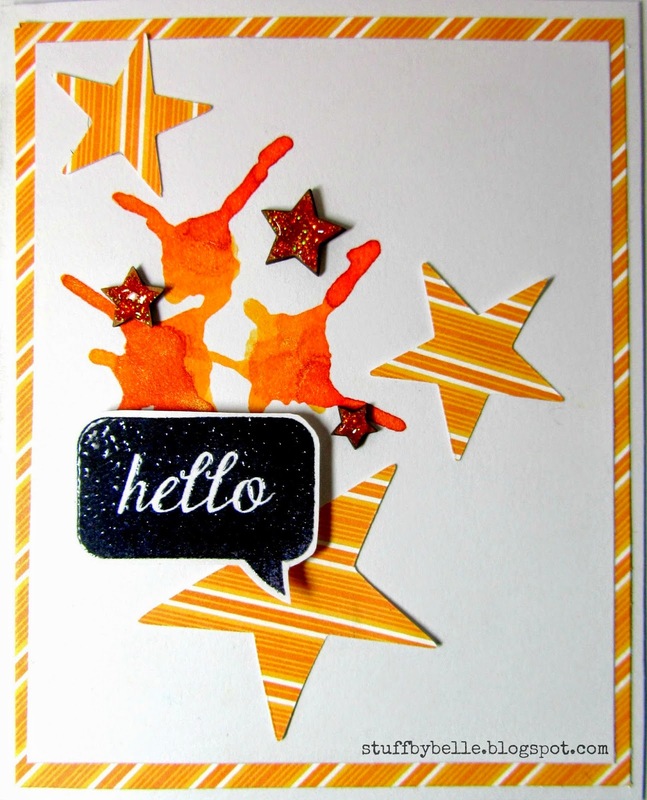 This card has a layer of the Basic Gray Capture and the same paper was used to cut some stars, Tattered Angels Glimmer mist, UmWow Studios star confetti covered in stickles. These speech bubbles are perfect heat embossed! 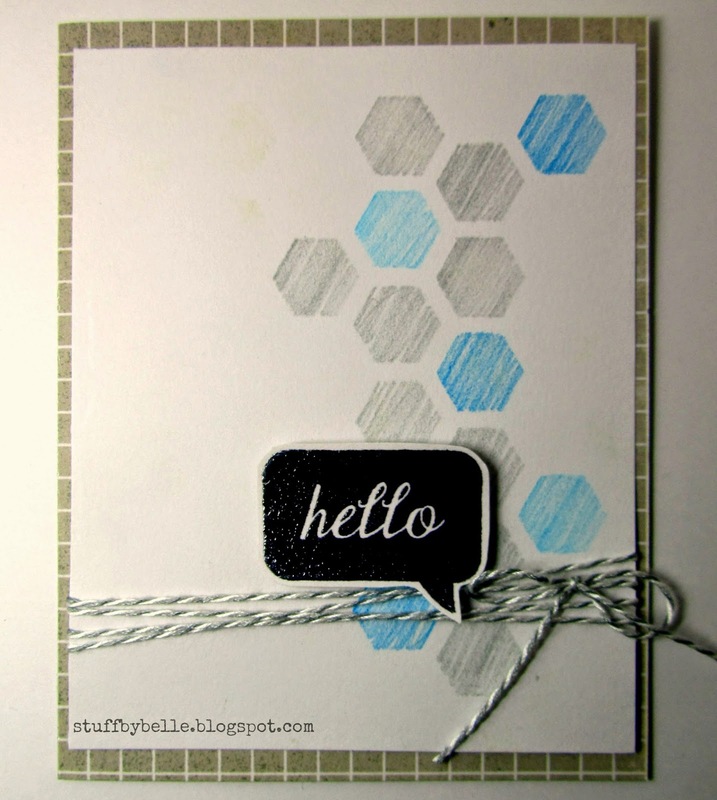 And this last card has a background of hexagons colored with watercolor pencils, I used the UmWow Studios hexagon mask to do this. The base is MME and the twine is Jillibean Soup. ﻿You still have a couple of days to get your Word Bubble project linked up on our challenge blog. 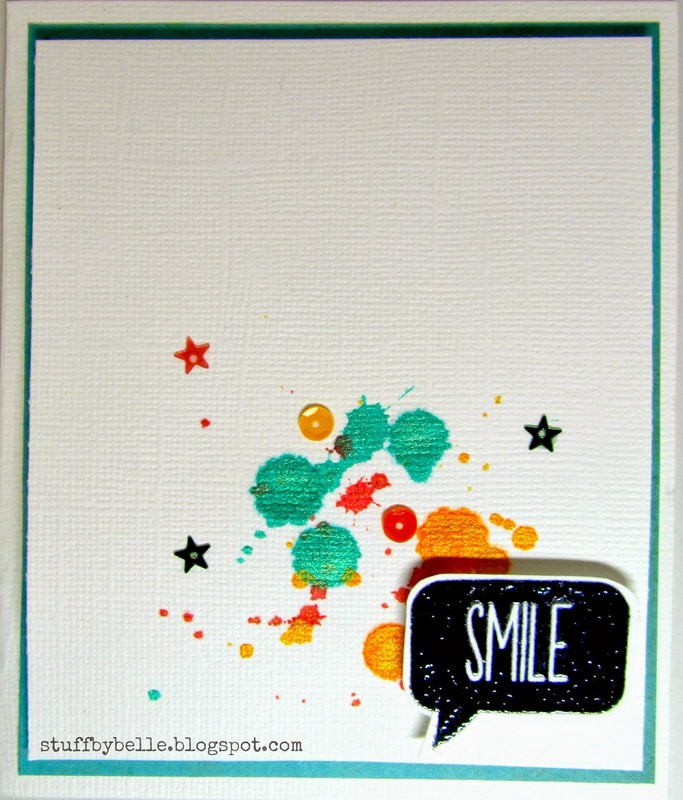 The smile card just pops with those bright colours! And I love the look of the pencil coloured hexis! So cool!